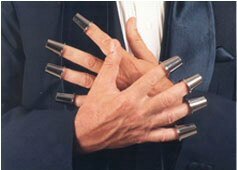 This is a set of eight special Silver Thimbles. With them you can perform vanishes penetrations and of course productions. 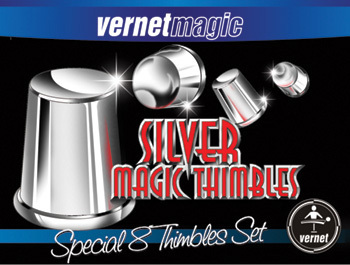 The Vernet Silver Magic Thimbles are specially designed and consist in pairs of thimbles nested one inside the other. With this set you can perform special routines and moves and also the classic routines describe in the greats books.